Search the Mansion. Solve the Crime. Who killed Mr. Boddy? Was it Professor Plum in the conservatory with the candlestick? Or was it Miss Scarlet in the library with the lead pipe? Interrogate the suspects, work as teams, collect the clues, and solve the mystery – all while enjoying a decadent dinner in a mansion or the unique location of your choice. 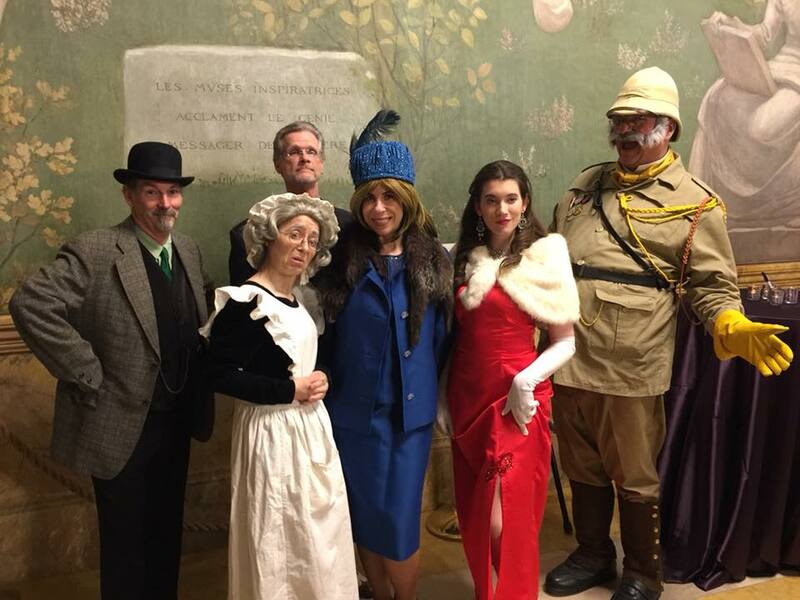 Our live Clue party game works best in a unique venue with multiple rooms, such as a local mansion or library. We have produced this event hundreds of times and it can be adapted to a walk-around, room to room format or a sit-down dinner. A fun and unique murder mystery dinner game for any size group, our Clue Live Mansion Mystery builds team relationships in a way that’s both effective and entertaining for everybody involved! Clue Live has been successfully produced in mansions, on boats, in conference centers and at some of the world’s most amazing locations. Thanks to the writers of Clue the Musical, TeamBonding has exclusive rights to this one-of-a-kind, interactive murder mystery. Ask about our Clue Live Team Building Scavenger Hunt as well! Clue Live is our most popular public event and is now available as corporate entertainment! Dine in a local mansion of your choosing and wander through the property as the guests of Mr. Boddy, the owner of Clue Manor. Your evening of elegance is interrupted, though, when your host is found murdered. Suddenly a private investigator needs your help to figure out whodunit, what weapon was used, and where the crime took place. Was it Miss Scarlet with the candlestick in the Music Room? Or perhaps Professor Plum used the revolver in the Gun Room? Interrogate the suspects, collect the clues, and solve the mystery all while enjoying a decadent meal. The Clue Live Mansion Mystery is inspired by the classic board game and based on Clue the Musical. Join our cast of killers for an unforgettable experience as we present fun, food, spirits, and a mystery for your team to solve – all in one memorable day or night!